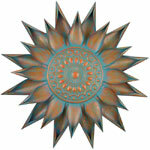 Outdoor Wall Art is by far the most space efficient décor you can purchase for your home and garden. 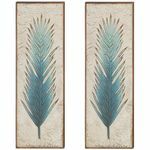 Not only does it create a huge impact at eye-level, but it takes up no floor space allowing you to hang it anywhere there is a wall or fence without having to compromise any floor space. 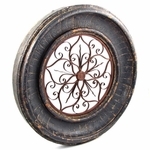 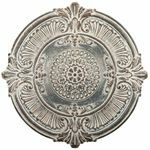 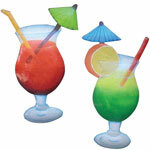 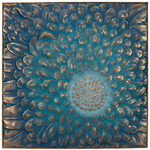 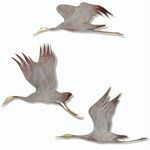 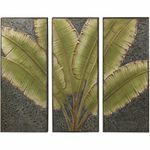 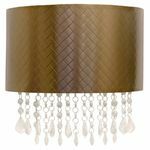 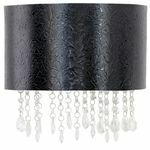 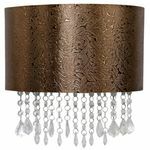 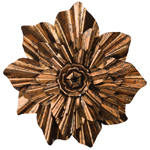 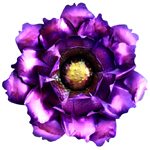 At GardenFun we have a large selection of wall décor that will be perfect for any home decorating theme or fascination. 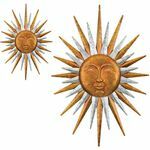 Our most popular wall décor items would be our Sun Face Décor collection, the easiest and fastest way to bring sunshine into your garden. 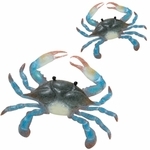 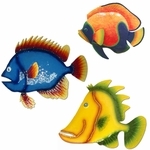 We also carry a nice collection of colorful Fish Wall Art and Gecko Décor for a fun tropical feel. 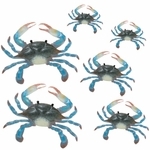 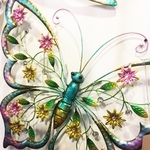 There are stars and flowers, and other critters to hang too. 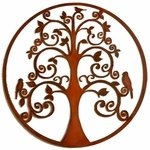 Whether it be a contemporary design or a classic Tree of Life, find what you love and hang it up! 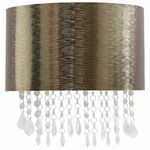 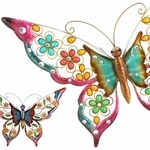 Want to make a lovely decorative design impact on your walls? 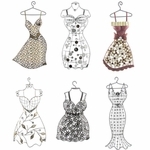 It’s super easy – take home what you love, and it comes ready to hang! 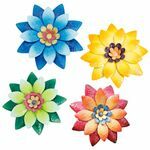 Express your designer spirit and bring huge color and decorative style to your outdoor walls, patios, decks, pool areas, and gardens with our outdoor wall art and outdoor metal decorations! 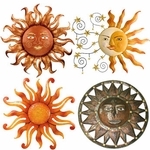 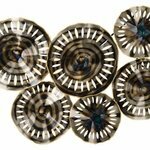 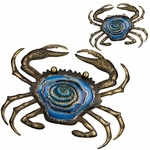 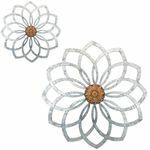 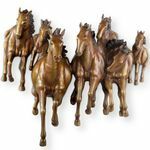 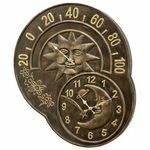 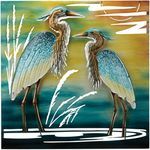 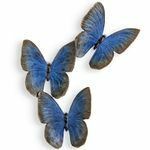 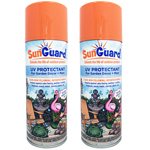 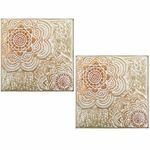 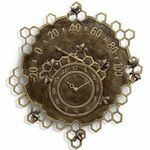 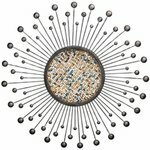 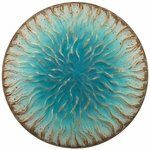 Select from a range of metal outdoor wall art; from our popular sun face outdoor wall decor and butterfly outdoor wall decor, to our tropical fish decorations and gecko outdoor wall art. 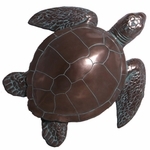 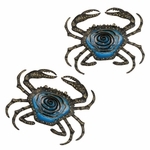 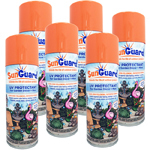 We promise you'll love our metal outdoor garden decor, and so will all your visitors. 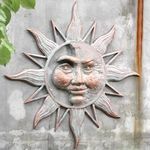 There's nothing better than outdoor metal wall art that takes up so little space and yet creates such a wonderful impact! 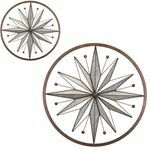 Extremely durable metal outdoor wall decor is the perfect way to add personality to your walls for long lasting enjoyment! 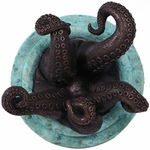 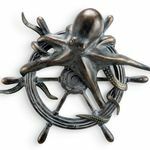 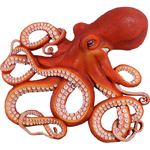 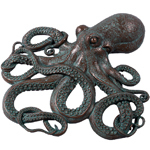 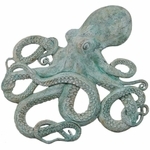 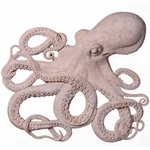 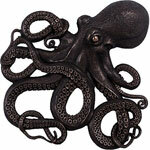 Have you seen our hanging Octopus Wall Decor? 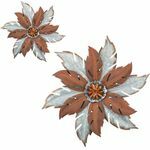 Seems like a strange item to be so excited about, but we recall the first time we noticed one of these up on the wall and we literally fell over in shock and awe. 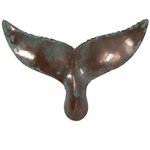 Wow, what an amazing and impactful item! 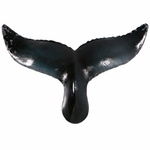 So much so that we had to hang one in our middle room at the office. 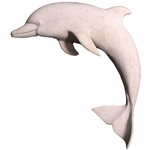 That’s right, we did! 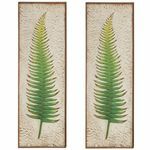 Even though our selection of outdoor wall art is intended for outdoor use, it doesn’t mean you can’t hang the same items indoors. 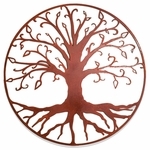 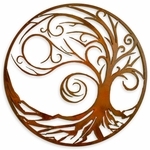 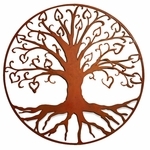 Tree art is a unique piece of decor that could technically be hung on a wall, but it’s actually intended to be hung on a tree, specifically one that is over 12 inches in diameter. 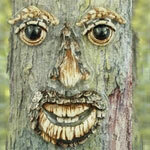 We have a number of different tree face versions to select from like Angry, Laughing or Sleepy – they are all great. 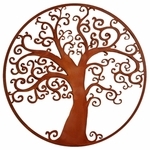 Give your trees the personalities you knew they always had with one of these funny tree face designs. 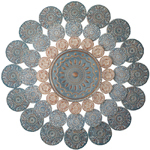 Need some prayer or meditation, and maybe a little bit of help warding off that evil eye from those around you? 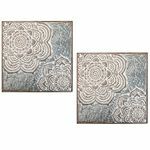 You might like to hang up our metal Hamsa Hand Metal Wall Art in your home. 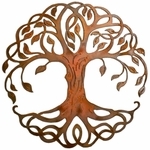 Made of metal with intricate design and curvy cuts like our other Tree of Life decor items, this Hamsa art will watch over your home and garden with spiritual care. 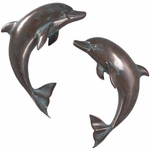 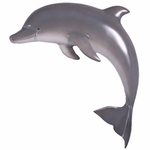 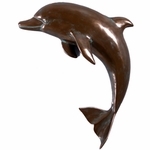 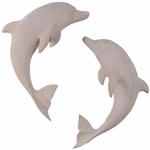 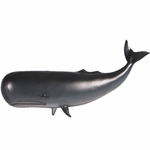 Our newest wall art pieces include some of nautical choices like the dolphins and whale tail items. 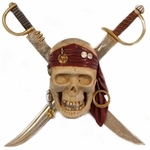 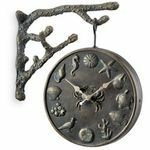 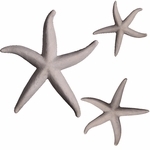 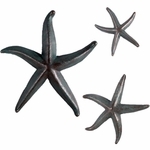 There are also starfish and seahorses and a 40 inch iron finish anchor that will look great on your wall. 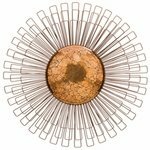 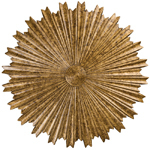 If you have a flair for the tropical but need something robust and impressive you might like our Pineapple Wall Decor – the ultimate symbol of friendly and welcoming hospitality. 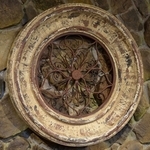 You cannot go wrong with Outdoor Wall Art, just find what you enjoy and hang it right up for all to enjoy!